+ What's in Pawsitively Pure Dog Food? Your dog’s Pawsitively Pure Dog Food meals are made by people who love their dogs. At Pawsitively Pure Dog Food, it all starts with high-quality, natural ingredients. Our meals are formulated to meet or exceed AAFCO nutritional guidelines. Our dog food is a real fresh whole food balanced meal made from natural nutritious human grade ingredients. 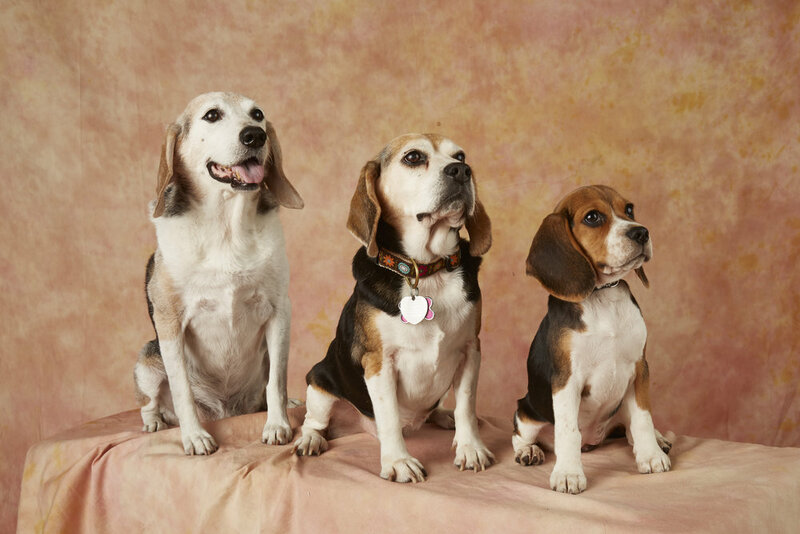 We include high-quality proteins your choice of chicken beef or turkey, combined with vitamin-rich vegetables,green beans, peas, carrots and energy-fueling carbohydrates such as sweet potatoes.Pawsitively Pure Dog Food has a naturally high moisture content due to the fresh vegetables and meats. Our meat and vegetables suppliers vary by week and region. When we choose our suppliers, our first priority is to get to know them and their operation from the inside out. Our meats and vegetables are sourced domestically .Our poultry suppliers have certified that the animals they supply us with are both antibiotic and hormone free. Meals are customized to fit your dog’s needs and come in convenient serving packs to make feeding easy. We perfectly time deliveries to make sure you never run out of food. It is important to make sure your dog is consuming a diet full of wholesome ingredients. This is why many vets suggest that a nutritious, well-balanced and grain-free diet is the best thing you can feed your pet.Pawsitively Pure Dog Food meals contain essential vitamins and minerals like Omega 6 and 3 fatty acids from natural or organic compounds. We do not put in any additional vitamins or supplements, however we do highly suggest the Mercola line of pet supplements for healthy pets found at www.mercola.com. We will be offering the Mercola line of Pet Products in the near future. + How do I transition my dog to Pawsitively Pure Dog Food? The time required to transition your dog from commercial dog food to fresh, high quality Pawsitively Pure Dog Food can vary depending on the age and sensitivity of your dog, but in general it takes about 5-7 days. During the transition our dog food should make up a 1/4 of each meal,Then gradually increase the portion of Pawsitively Pure Dog Food over the course of 5 to 7 days until your dog is eating 100% Pawsitively Pure Dog Food. Once your dog is fully transitioned into a whole human grade food diet, the need for transition is over. Your dog is free to enjoy all our Pawsitively Pure Dog Food recipes, Bone Broth and Dog Treats. Once your dog has acclimated to our Pawsitively Pure Dog Food you will notice significant improvements. + How much does Pawsitively Pure Dog Food Cost? The cost of each meal depends on your dog's age, weight, and dietary needs. Most of our meals cost less than commercial dog food. Please call 407-450-6151 or email us at pawpure1@gmail.com. Our location is set up to take your order. + Can I freeze my Pawsitively Pure meals? Yes! Absolutely! It's OK to put your Pawsitively Pure meals in the freezer upon receipt. + What kind of Packaging does Pawsitively Pure Dog Food use? Our Pawsitively Pure dog food meals are served in sealed individual BPA free 8 oz. bags and packaged in a bag containing 4 8-oz. meals per bag for the pet owner’s convenience. During shipping time our Pawsitively Pure Dog Food is kept cold and protected by an insulated lined box and is accompanied by a large ice pack to keep the food frozen. We not only believe in making the purest food for our dog clients, we also believe in getting it to you in the most convenient manner. + What's the shelf life of my dog's Pawsitively Pure Dog Food? meals to last longer,please place them in the freezer,they'll last 4-6 months in the freezer. + Where does Pawsitively Pure Dog Food deliver? Pawsitively Pure Dog Food ships our cooked human grade healthy meals for your dog in the continental US Delivered straight to your door! + How often should I reorder food? We will soon be offering Subscription Plans for our Meals. With our meal plans, customers receive deliveries of freshly prepared food on a recurring basis based on your dogs needs.